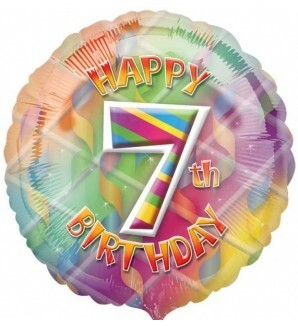 If you want to celebrate a 7th birthday why not send a balloon in a box. Ideal for children and guaranteed to put a smile on a loved one’s face. All our balloons arrive inflated in a tissue lined box and our helium filled balloons are tied to a weight. We offer a safe and secure online ordering system and provide a same day delivery service in the Dublin area for orders placed before 14.00. Orders for the rest of Ireland will be delivered the next day.